Each background reflect a different environment so you can create the best atmosphere for your product. 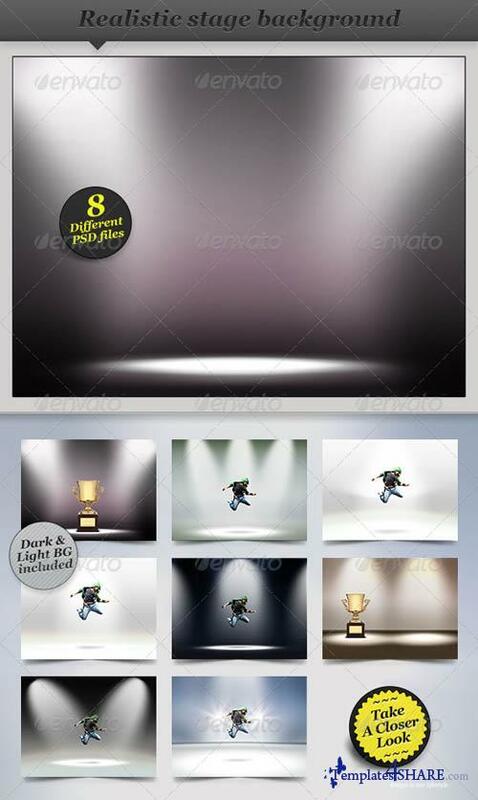 8 PSD files, includes background layer and individual spotlights layers. Easily eliminate, move and transform any spotlights on wall and floor. Easily change Hue/Saturation/Lightness of background. High resolution, suitable for print or web display.